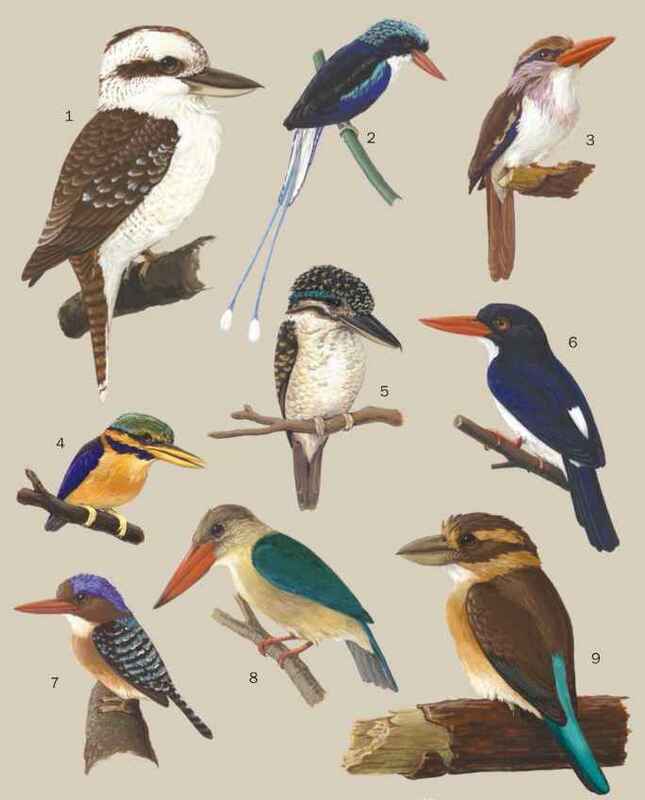 English: Blue-cheeked jacamar; blue-necked jacamar; French: Jacamar a bec jaune; German: Gelbschnabel-Glanzvogel; Spanish: Jacamar de Pico Amarillo. 7.5 in (19 cm) long. 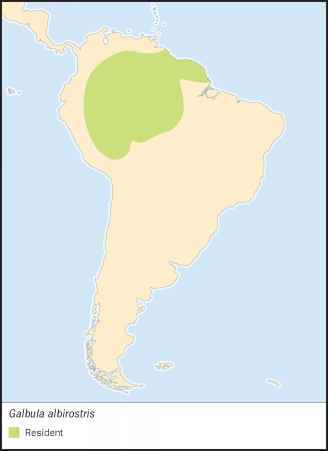 The only jacamar species with a yellow bill. Metallic green on upperparts, purplish brown head, white patch on throat, rufous on underparts and tail. Feet and eye ring are yellow. 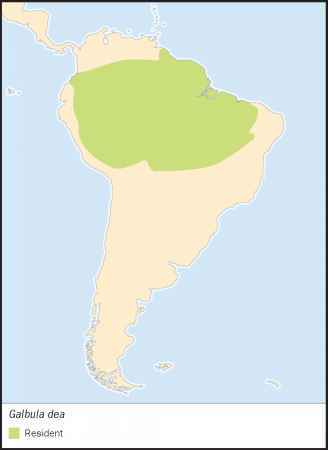 Amazonian Brazil, the Guianas, Peru, Venezuela, Colombia, and Ecuador. Often joins mixed flocks of other bird species. Prefers butterflies and dragonflies. Captures flying insects while hunting from a perch. Lays one to four white eggs in ground-hole nest cavity. Incubation is 20-23 days. Chicks emerge from nest after 21-26 days, covered with white down. Both sexes incubate, and care for chicks.